Francesco Corti was born in Arezzo, Italy, in a musical family in 1984. He studied organ and composition for organ with Wijnand van de Pol in Perugia, then harpsichord at the in Geneva with Alfonso Fedi and in Amsterdam with Bob van Asperen. He was awarded in international competitions for harpsichord, organ and chamber music. In 2006 he obtained the first prize of harpsichord at the XV International "Johann Sebastian Bach" Competition in Leipzig. In 2007 he was awarded the second prize at the Bruges Harpsichord Competition. As a soloist, he has appeared in recitals and concerts all over Europe, in the USA, Mexico, Island, Japan, Korea, Indonesia and in New Zealand. He has been invited by festivals such as the Salzburger Festpiele, the BachFest Leipzig, the MusikFest Bremen, the Utrecht Early Music Festival, the Festival Radio France Montpellier, and has performed in halls such as the Salle Pleyel in Paris, the Bozar in Bruxelles, the Konzerthaus in Vienna, the Tonhalle in Zürich, the Mozarteum and Haus für Mozart in Salzburg and the Concertgebouw in Amsterdam. The Mozartwoche Festival in Salzburg invites him every year to perform on the original Walter fortepiano once owned by Mozart. In 2007 he was called by M. Minkowski to join Les Musicien du Louvre, where he plays continuo and solo harpsichord, fortepiano and organ. With this ensemble he has performed concertos my Bach, Händel, Haydn and Mozart. He also performs with other famous early music groups such as Le Concert des Nations (J. Savall), Ensemble Zefiro (A. Bernardini), Harmonie Universelle (F. Deuter), Ensemble Elyma (G. Garrido), Les Talens Lyriques (C. Rousset), La Scintilla (A. Pesch) and Musica ad Rhenum (J. Wenz). As continuo player he ha salso performed with the London Symphony Orchestra, the Filarmonica della Scala, the Mozarteum Orchestra and the Wiener Philharmoniker. He was invited as soloist and conductor by the Holland Baroque Society for two European tours of concerts with the six Brandenburg concertos by J. S. Bach. He has also conducted Les Musiciens du Louvre in a Bach Cantatas program. He has recorded for Sony-DHM, Deutche Grammophon, Naïve, Accent, Arcana, Aparte, Brilliant Classics, Genuin and Berlin Classics. 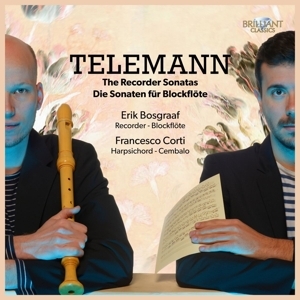 His solo recording include a CD of Louis Couperin Suites and the Partitas by J. S. Bach.